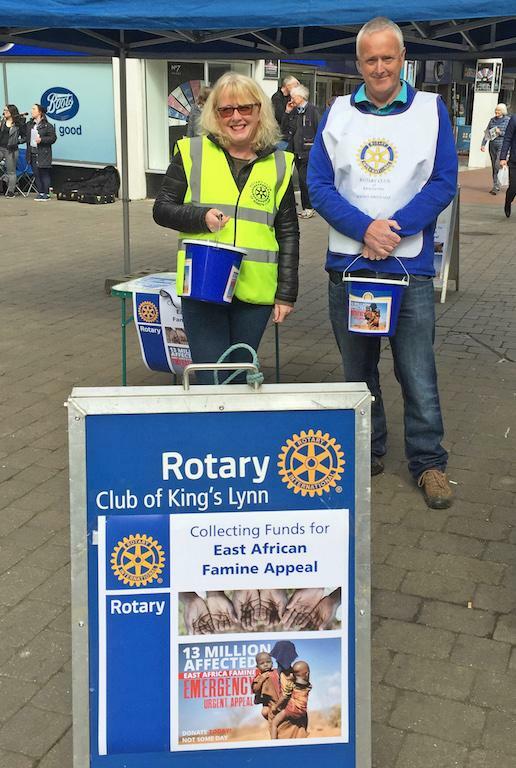 The International Committee of the Rotary Club of King's Lynn organised a street collection on behalf of Rotary International's commitment to support the East African Famine Appeal. The Club would like to thank all members of the public who kindly contributed. As a result the Club will round up the amount collected and send a donation of £500.